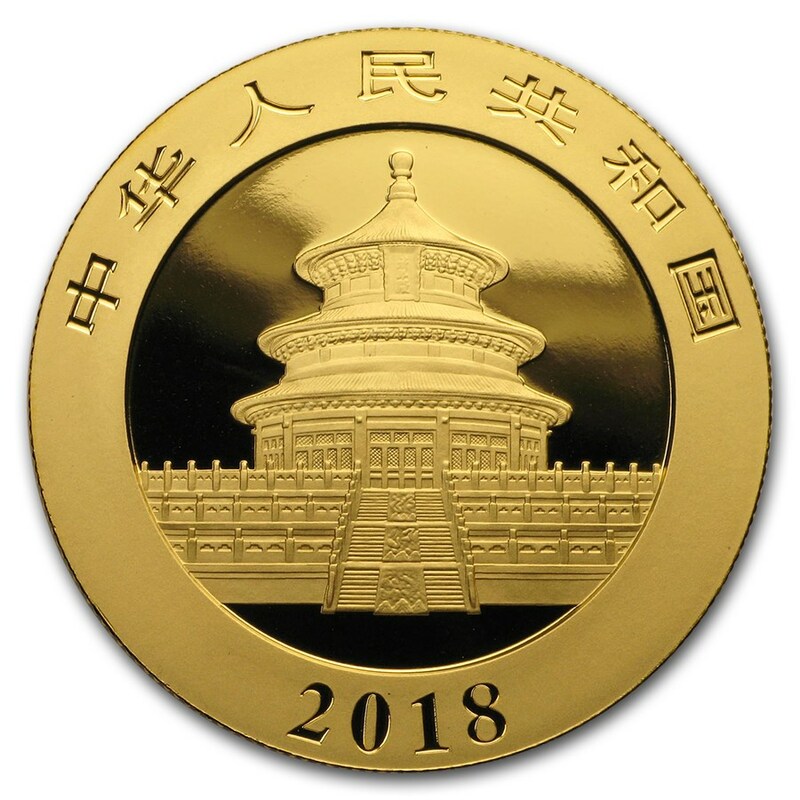 This unique 30 grams (g), or 0.96 ounce (oz), gold Panda coin is produced by the People's Republic of China. Unlike many coins on the market, the gold Panda coin changes every year. The coin varies each year on the obverse side, but the reverse consistently illustrates the rare animal that inhabits China: "The Great Panda". The gold Panda coin is truly a coin and a unique investment. Their beautiful design is changed every year, making these coins excellent collectibles. They make a perfect gift for any gold coin admirer, or for an amateur interested in entering the precious metals industry. Indeed, gold is considered the best safe haven for investors, especially its price and perceived value. 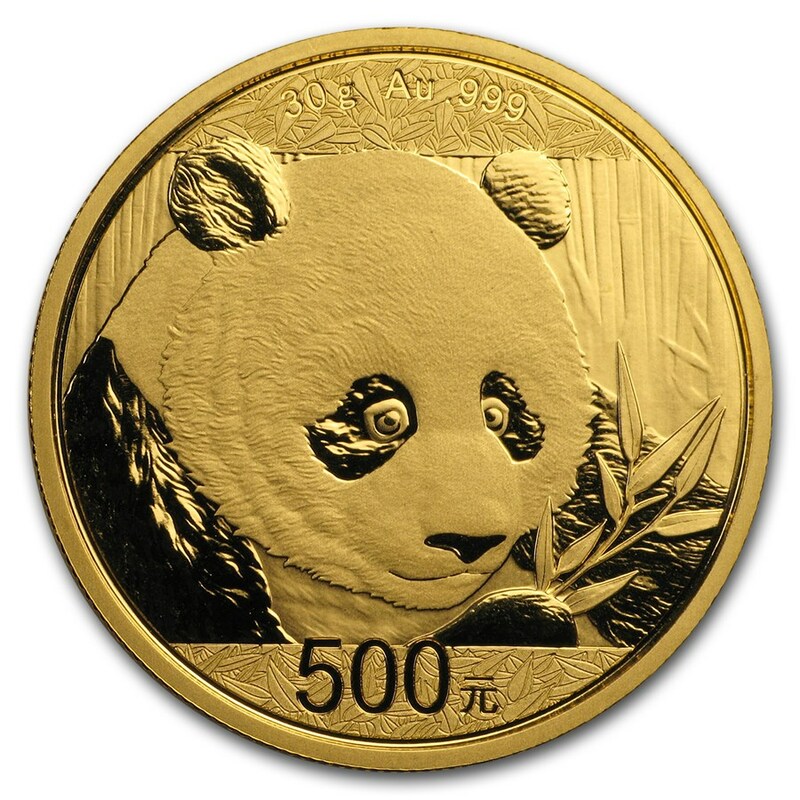 On one side of the Chinese gold Panda coin, you will find the enlarged image of the famous Giant Panda, a renowned international symbol of China, with its purity (0.999 pure gold). Interestingly, the Giant Panda is not from the bear family. It comes from a species of animal called the red panda. This animal, whose size and characteristics, looks more like a fox than a panda. It has been called "Giant Panda", in reference to the size of the animal. On the opposite side of the room, you can see the Temple of Heaven - another important aspect of Chinese culture. The Temple of Heaven is a complex of religious buildings dedicated to the Taoist faith. Another feature of the coin is the edge, which includes the name of the nation in Mandarin, as well as the year of production in Arabic numerals. Protect your gold Panda coin against fingerprints by using cotton gloves and handling your precious metal coins with care. Keep your coins inside a clear plastic capsule for more protection! This will elegantly expose the room, and will also increase the value of your coin collection. The gold Panda coins are one of the most popular gold coins on the market. Their unique and changing design each year is one of their most important features. Each year, the Panda coin changes its design, making it the most collectible coin in the world. A key challenge that the designers of this coin had to face, was how to translate the Panda on a coin. It was important for coin designers that the coin reflects the black and white color of this creature. The designers decided to use the intaglio for arms, legs, and ears to absorb the light to shine in a dark shadow. These famous coins were originally launched in 1-ounce size, as well as in smaller sizes, such as ½ oz, ¼ oz, and 1/10 oz. In 1983, more sizes were introduced, like 1/20. A 1g coin was only released in 1991. This made the Chinese gold coin Panda much more accessible to the general public. It has also become more accessible to those who are new to the money industry and on a modest budget. Since 2016, the People's Republic of China has started to use the metric system to suit the rapidly growing international coin market.